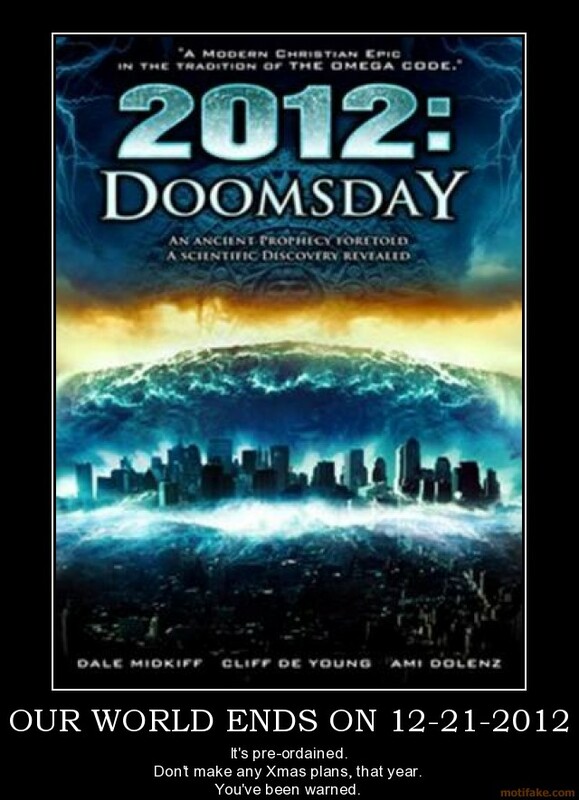 Doomsday is exactly 3 years from now. Enjoy the time you have left. I wonder what most folk would do with their two years if this was true? @ Bunc: They would be skeptics (like you and I) and not believe it's going to actually happen. And it is 3 years, not 2. Basically you've got what's left of this year, all of 2010, 2011, and most of 2012. 1,095 days. 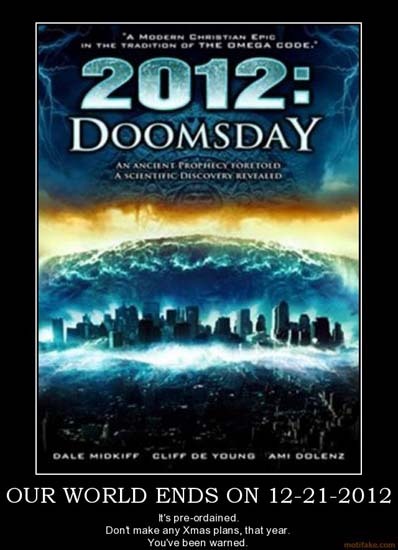 I dont belive its going to happen, even though I have to admit the Mayans were a unbeliveably smart civilization, so theres always a slight chance. Oh darn. At this rate I'm never gonna get my license.